Synopsis: When necromancer Eric Carter returned to Los Angeles after fifteen years on the run he knew things were bad, but he never imagined how bad they could get. Sister murdered, best friend dead, married to the patron saint of death, Santa Muerte. And things are just getting worse. His link to the Aztec death goddess is changing his powers, changing him, and he’s not sure how far it will go. He’s starting to question his own sanity, wonder if he’s losing his mind. No mean feat for a guy who talks to the dead on a regular basis. 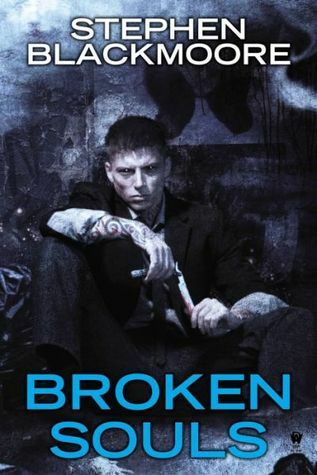 While searching for a way to break Santa Muerte’s hold over him, Carter finds himself the target of a psychopath who can steal anyone’s form, powers and memories. Identity theft is one thing, but the guy does it by killing his victims and wearing their skins like a suit. He can be anyone. He can be anywhere. Now Carter has to change the game, go from hunted to hunter. All he has for help is a Skid Row Bruja and a ghost who’s either his dead friend Alex or Carter’s own guilt-fueled psychotic break. If things go right, he just might survive a week where everything is trying to kill him and nothing is as it seems. Review: I really had a good time with the first volume and as soon as finished, I ordered the second volume (do you believe me if I tell you that I did the same for the third one?) To discover the rest of the adventures of Eric Carter. It must be said that the novel did not finish very well for him! Since the death of his best friend, Eric tries to distance himself from all his knowledge. Yet he is still more than determined to discover how to break his tie to Santa Muerte. But his research causes death and it seems that a psychotic man has the sole purpose of killing him to wear his skin and get his powers. Aligning with the Bruja, a woman he did not know about, he will have to choose how much he can trust her. And when his friends are in danger, our hero will have to find out exactly what is happening. I really liked the novel. The author’s ideas are really interesting and I loved the mythology he mixed with his story. As for the first volume, it is a dark novel that we find and I found it very pleasant and different to read. The general plot is moving forward and the complexity is changing too, which is why I am really very curious to read more. The revelations are surprising and I can not wait to discover what will happen in the third volume! It’s a UF series that I recommend if you want something a little darker than what is usually found. This entry was posted in Eric Carter, Stephen Blackmoore, Urban Fantasy. Bookmark the permalink. This series is on my radar thanks to your first review. Glad to see book two continues to wow you. I definitely want to read these. Ha, love that you already grabbed book three. lol yeah, I was too curious! That cover is so cool! Sounds like a really good book. Well that cover is sure creepy. Still I love a good UF and it is fun to read one that is a bit on the dark side as long as isn’t gory or gross. I’ve been thinking about reading this series for at least 2 years. I only skimmed this as I will read them soon. I have the first one. Thanks for sharing! This is a series that I have been looking at lately. Based on your reviews, I think that I am going to have to add it to my wishlist. Glad you enjoyed it! Why does he look like Dean from ‘Supernatural’? i have seen this one around. You have convinced me to give this one a try.